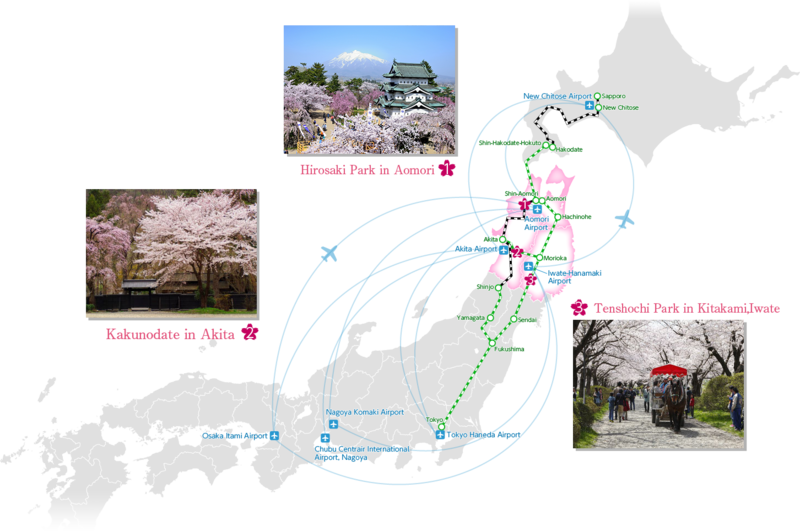 About the top 3 cherry blossom locations in the Michinoku region! 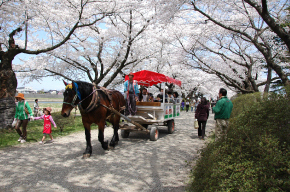 Hirosaki Park in Hirosaki Aomori,Kakunodate in Senboku Akita,and Tenshochi park in Kitakami Iwate. 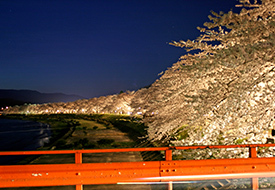 The best viewing time is from Mid-April to Golden week. 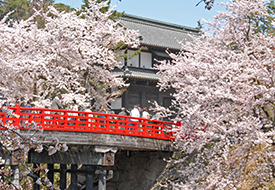 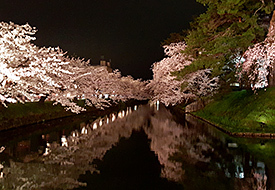 To catch the cherry blossoms at their peak at 3 locations,you should visit them in this order: Tenshochi Park in Kitakami Iwate,Kakunodate in Akita and finally Hirosaki Park in Aomori. 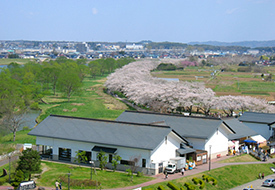 Each of these 3 locations provides a unique setting and viewing experience. 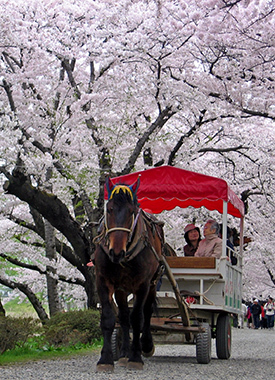 Why don’t you come and see the spectacular cherry blossoms of Northern Japan! 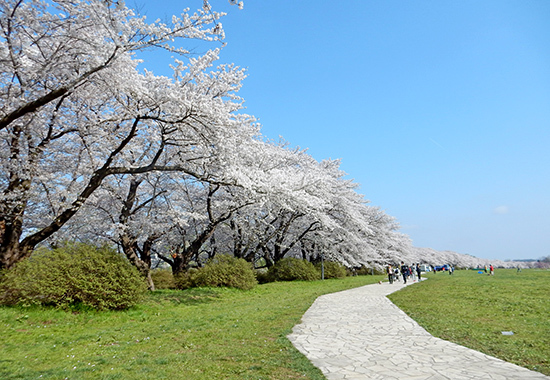 Hirosaki Park boasts 2600 cherry trees, and its annual Cherry Blossom Festival will celebrate its 100th anniversary in 2018. 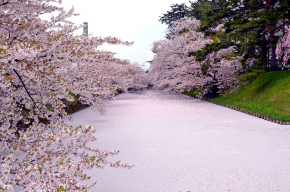 The park offers a number of stunning sights, including a flower carpet of cherry blossom petals, that at times covers the castle moat! 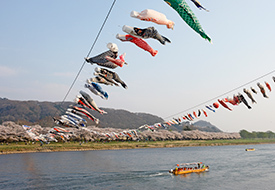 Rich in history and culture, the area around the Hinokinai River in Kakunodate seems frozen in time and is sometimes referred to as the Little Kyoto of Michinoku. 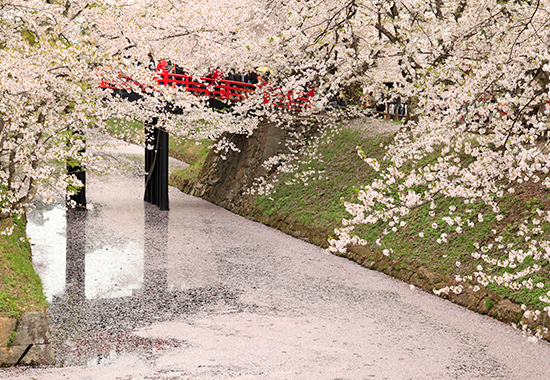 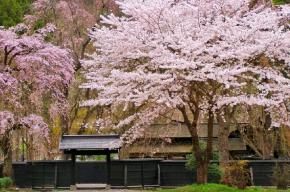 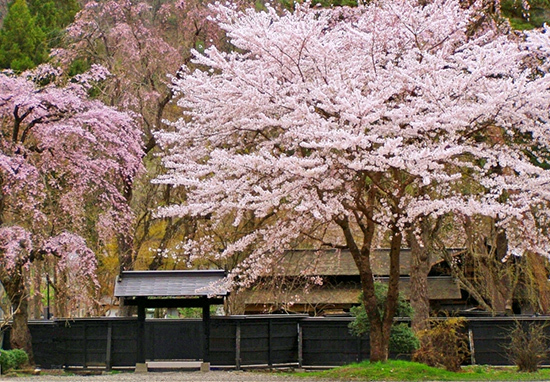 Yoshino cherry trees border the river, while weeping cherry trees line the streets of old samurai residences. 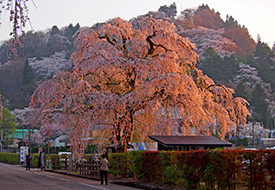 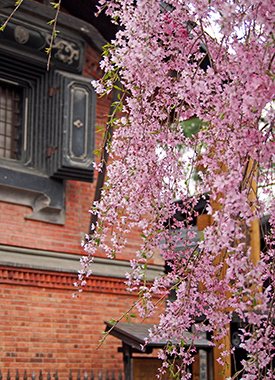 Visit at the right time to see all of Kakunodate dyed in exquisite pink. 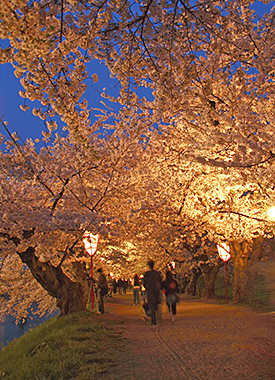 Walk through a stunning cherry tree tunnel consisting of 500 century-old trees and extending 2 km along the Kitakami River.